Back in 1897, J.M. Smucker made his first batch of Apple Butter — from apples picked off of trees planted by Johnny Appleseed himself. 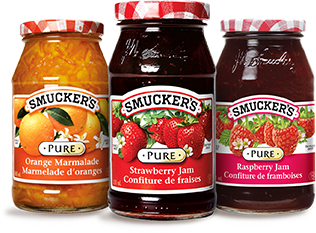 You can now find Smucker’s fruit spreads from Strawberry Jam to Mint Jelly and we still honour the humble beginnings of our apple-tree roots. How many companies do you know that still operate from the same town they started in, in the 1800's? Short answer: at least one. Smucker’s and our small town of Orrville go together like PB&J. It may be small, but it’s where we found our pioneering spirit and our guiding principles. 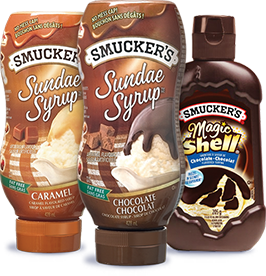 Learn more in the About Smucker’s section. When loved ones get together it makes for memorable meals and moments. We cherish being a part of making those moments happen. 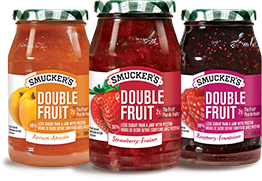 Smucker’s has maintained relationships with many of our fruit-grower families for decades. Our growers are just another part of our extended family, and they inspire us to find new ways to make life more fruitful. 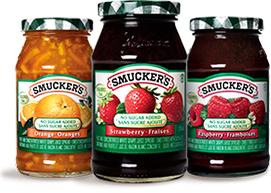 Our famous slogan started out as a way to have fun with the Smucker’s name. Turns out, being simply honest about who you are can turn out to be a great way to sell some jam. Who knew?